After 7 days of feeding my sour dough starter “took off” and was ready for baking. Even with a water bath set to 28 °C it took longer than expected. I started off with 100% hydration as this is convenient when you have to feed your starter frequently. 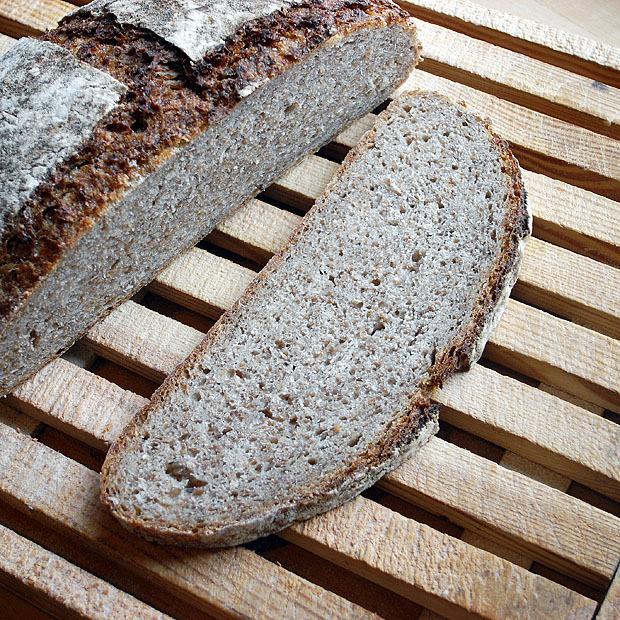 Using only whole grain rye flour and water, I fed my starter every 12 hours (I’ve included details of the “feeding schedule” at the end of this post). 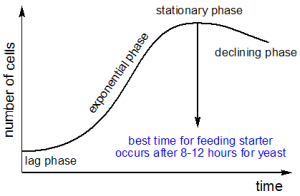 This time interval is based on the growth cycle of yeast, where the yeast after an exponential growth phase reaches a plateau after 8-12 hours. This is the best time for feeding the starter.